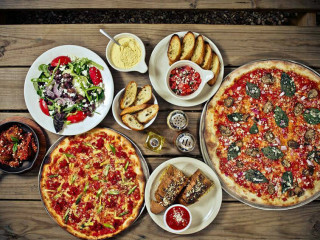 Giving back to the community is important to the guys and gals at Salvation Pizza, so the new Rainey Street location is hosting a special Amplify Austin launch party to benefit Camp Glimmer. Enjoy a complimentary keg from your friends at Salvation while you learn more about Camp Glimmer's mission to help kids go to summer camp. Patrons who mention camp Glimmer from March 4-88 will receive 15 percent off their purchase, which will go towards Camp Glimmer.